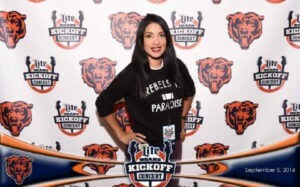 This was taken during the Miller Lite Bears Kickoff Concert. This is just another example that you pick the location and we will staff it! We have over 40,000 staffs on our roster and growing daily. We are always ready to assist any City/State/Province in USA and Canada. Feel free to visit our website www.NationalEventStaffing.com for lots of additional info.